Product prices and availability are accurate as of 2019-04-16 02:44:30 UTC and are subject to change. Any price and availability information displayed on http://www.amazon.com/ at the time of purchase will apply to the purchase of this product. Perfect for little hands and huge creativities, this joyful chunky play set is the best preschool puzzle! 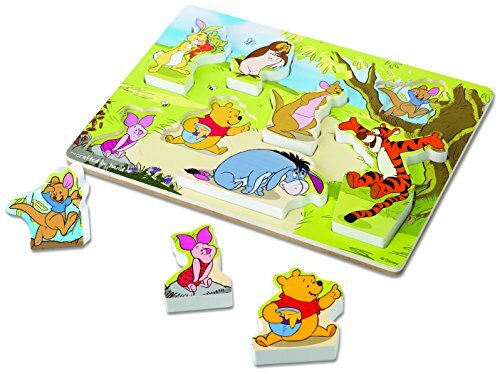 8 extra-thick wooden pieces are simple to grasp, simple to maneuver, and even defend imaginative pretend-play fun. 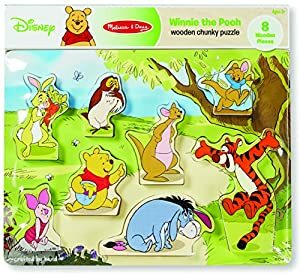 And with Winnie the Pooh and his close friends to bring in huge smiles and great deals of character, it makes sure to end up being a preferred for years to come! Promotes fine motor abilities, color acknowledgment, matching and sorting abilities, and imaginative play.